GOING abroad has been long regarded as key to success. Thousands of Zimbabweans have destroyed their livelihoods in a bid to secure a ticket and fly away to the Diaspora. Many people sold their houses to buy tickets to go to the UK. Some resigned from good jobs to come and become caregivers. Comforted by cheaper prices of food in the UK and the ‘buy-one-get-one-free’ schemes; they consider themselves rich. Most people have placed themselves in a precarious position after abandoning their country for the ‘greener’ pastures. The grass looks greener out there, but is it? Does one become rich by abandoning his/her country? The Diaspora carries the badge of wealth but actually commands none. Society tends to equate the possession of money with a happy, successful life. The pursuit of riches, by going abroad, is seen as the best course to achieve success. As the saying goes: “Money does not buy happiness,” and going abroad does not guarantee riches. So if going abroad doesn’t necessarily translate into success, what does? For different people, success means different things. For some, it may mean amassing a lot of money while for others, it means doing what you love, or leaving the world a better place. There are countless ways to define success. It all depends on the individual. But the truth is that, being outside the country is not at all the get-rich-quick ticket. Before packing your bags to go abroad, it is worthwhile to examine and try to determine what success is for you; set your goals accordingly and; then decide on strategies to achieve the success you want. It’s a lot like the process you go through to develop your financial plan. Both involve some trial and error to figure out what works for you. “Going abroad is only a smokescreen and not a sign of being ric,” commented Dr Herbert Kawadza of Manchester, UK. A person who has stripped down life to the bare necessities in order to devote more time to a beloved activity like farming or mining should be considered just as successful as the one toiling abroad and is probably far less stressed. People can still make it, even though they are in Zimbabwe. No rich Zimbabwean is abroad. Our people are being attracted by cheaply priced UK food and have abandoned their roots. After all, there’s no point in being rich if you’re not fulfilled; and if you’re not fulfilled, how can you say you are truly successful? Being abroad, you are always reminded that you are a foreigner. Being rich without self-pride is poverty of the worst kind. You can look at success as either a destination or a process. Maintaining a fixed definition of success can lead to stagnation and even depression. 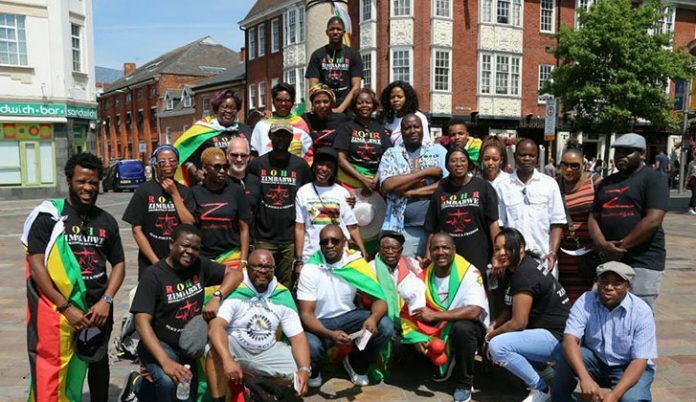 It is not surprising that the UK has a large number of Zimbabweans who are stressed and mentally disturbed. “They are in a make-do world where they think they are better off than colleagues left in Zimbabwe,” said Welcome Bhebhe from Luton. You could measure these successes by achieving temporary, tangible goals like being a care home manager away from the motherland. Alternately, you could set goals where ultimate success takes your entire lifetime, like a happy marriage, spiritual discovery or perfecting your golf swing. Zimbabweans abroad are a very unhappy lot and try to pretend to be making it in life. There is nothing richer than being home. The UK is filled with frustrated Zimbos who have not found the easy rich pickings they expected to be everywhere in the land of the Queen. It is quite interesting how you define happiness in the Diaspora as compared to being in Zimbabwe. I could argue that uncertaintly breeds more depression than does certainty. While I’m in the diaspora, the Uk to be precise, the uncertainty of the situation back home in Zimbabwe makes me more stressed than my daily life here in the UK, not because food is cheap, again which is a misnoma on your part because some of us try to eat healthy and not eat based price, but because there is a stable government, there is rule of law, and in general except in some cases, things are black and white with less grey areas. So, I think your observations are very shallow and your critique is too simple. There are more pull factors in the diaspora coupled with push factors back home that prompt one to make a move. Moving is not always due to self indulgence, but it is strategic based on your own evaluation of the benefit factors within your environment compared to the cost/benefit factors in other environments. Yes things are not easy for a lot of people in the diaspora in terms of access to work of choice but I can guarantee you that even if someone was on the dole/claiming benefits in the Uk, that is being on social welfare, their state of mind is better than someone in Zimbabwe who has no job, and no prospect for getting one, no access to any recourse or welfare and no support from the state, and living in an environment where the economic trend is erratic and frought with wild uncertainty due to gross mismanagement. Reflect a lot more on your article in terms of the difference in environment and access to resources and opportunities and not on emotive inuandos. You could have written a great article with a bit more research because after your poor descriptive approach, you could have maybe made some prescriptive suggestions and tried to see where the convergence of migration could be tilted in Zimbabwe’s favour and shown how Zimbabwe could benefit from the experience of those in the Diaspora.